On September 13th, dine out with friends, family or colleagues and “Stick a Fork in Cancer”! 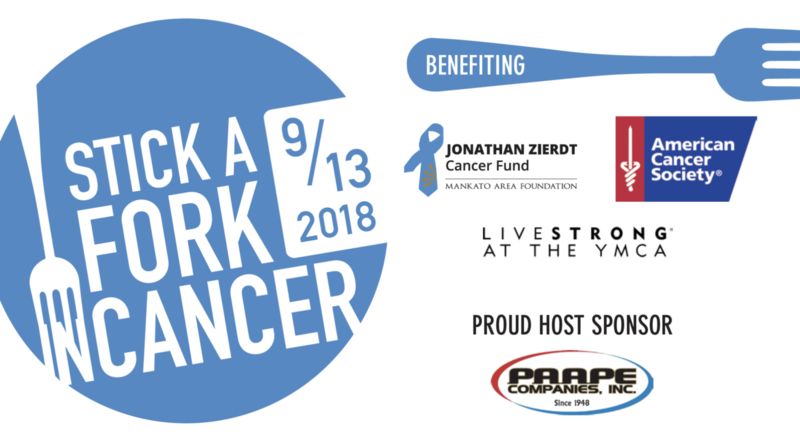 Participating Mankato area restaurants will donate a portion of their 9/13 proceeds to benefit the Jonathan Zierdt Cancer Fund, American Cancer Society, and LIVESTRONG at the YMCA in an effort to “Stick a Fork in Cancer”, bettering the lives of cancer patients and their families in our community. 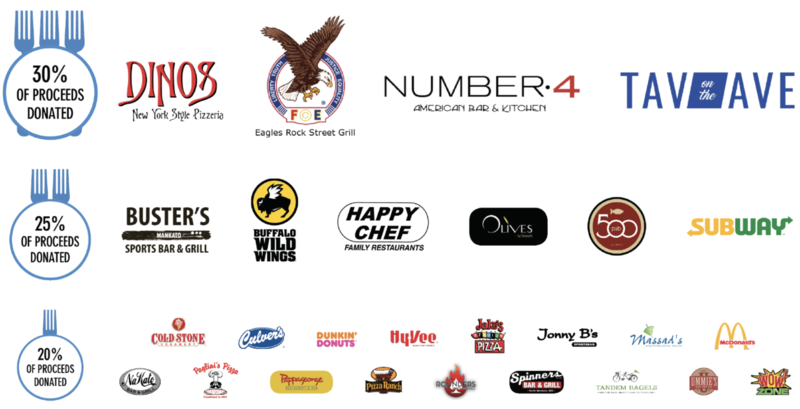 View the participating restaurants below.